Optimizing your website to convert more visitors to contacts is a crucial part of your web strategy! The numbers are simply staggering. Almost unbelievable. This test was run in 4 different states for 4 different businesses in the same industry and all produced the same winner at a statistically significant level. Overall, the winner increased contacts an average of 253% over the control representing 200 more contacts per year for those 4 small businesses. With no additional investment in TV, Radio, PPC, SEO, or any other form of advertising, combined those 4 businesses will have 200 more web contacts this year than without this test. The answer is at the bottom. This is the hardest thing for my team to explain to our clients because it just sounds ridiculous. If the message on the page is the same and all the information is there, then why in the world would “minor tweaks” have such a drastic difference? The answer to that has to do with a combination of eye movements over a web page, the “trigger points” of your visitor, and also understanding how to “optimize the thought process” of that visitor. Conversion Rate Optimization is the science and art of getting more revenue-generating actions from the same number of website visitors. Experimenting with all of these concepts to see what works best in the real world. Conversion Rate Optimization is the most powerful tool available in the internet marketing world. Imagine the potential improvement in all of your marketing if you KNEW scientifically which headline or offer generated more leads! With that information in hand, you could now make your TV, Radio, direct mail and cross-marketing efforts more effective than ever before. How much can your website truly grow and improve? Most service-based business websites convert less than 10% of visitors to contacts (6-8% is on the high end). That means 9 out of 10 visitors leave your website without taking an action. Increasing that to just 20%, 2 out of 10 visitors, is possible in almost every instance and we guarantee to at least double your contacts. My Optimized-Marketing.com team and I were joking recently that our business probably wouldn’t even exist if the ad agency for my water treatment business in New Mexico would have been able to tell me what to expect for a conversion rate and cost/contact for our marketing. That lack of information is what kicked my engineering brain into high gear to figure out a way to use the internet to scientifically answer those crucial questions for small businesses. Since then, we’ve learned how to take technology, science and expertise that Fortune 500 companies use, and bring it to small businesses. But unlike those large companies with entire departments dedicated to the task, we’ve figured out how to do Conversion Rate Optimization for small businesses for as little as $400/month. Optimizing your website isn’t a quick process because it takes mountains of data and bucket loads of testing but, over the long-term, it’s the most powerful way to get the absolute highest percentage of your website visitors to contact you. The best part is, your competition has never even heard of this so you can be confident they aren’t doing it. You can start bidding more for Adwords and for more keywords. You can run more TV ads on more stations. You can mail out more postcards. You can increase the wallet share of your current customer list. While your competitor is cutting back his marketing because “nothing is working”, you’ll be going full steam ahead because all of your marketing just keeps getting better and better results. The most eye-opening 15-minutes you may ever spend with your website will be on a Conversion Rate Optimization walk-through with one of our scientists. You will “walk-through” your website with us step-by-step to learn where our research has proven you are scaring away good leads. You are then welcome to compare that to one of our websites to see the “psychological tricks” we use to increase sales that most people would never even notice. Fortune favors the bold so don’t be the last one in your market to have a CRO team on your side. P.S. In this experiment, we moved the contact form from the sidebar into the body of the page. That’s it. The wording, form requirements, and other details were all the same, they were simply laid out differently. 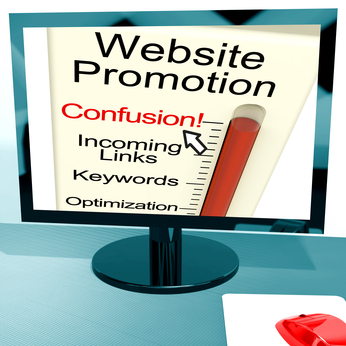 Contact us for a 15-minute CRO walk-thru of your website. You’ll learn exactly where your website is bleeding away good leads. Assume you know everything and can guess what your target prospects want to see. Assume you know almost nothing and need to test to learn what actually converts prospects to customers. If you’ve ever worked with an Ad Agency or Web Designer you are probably intimately familiar with #1. Often you go through an interview process where your agency or designer asks about your business services and then either writes up the pages on your website for you or asks you to fill in the blanks. This method is all based on guesses… You, your web designer, and your agency are all guessing at what headlines, calls-to-action, offers, designs, videos, images, contact forms and other things will result in you getting the most new customers. What few people realize is that there’s a much more powerful way to generate leads with your website. Recently I was going through an analysis on one of our clients, as we promise to do every month, and found the phrase, “Best <local> Customer Reviews!” in a Google Ad increased our Click-Thru-Rate over the control by 32.5% but, more importantly, also increased our conversion rates by 1244%! Both were at a statistically significant level. One sentence in a Google ad, with traffic being sent to an optimized landing page, increased actual contacts 12-fold over our original ad. How hard is it to create a sentence that generates a 12-fold improvement? To learn that 1 sentence we tested over 130 different Google ads and about half a dozen different page designs over about 6 months. That’s only part of the story as we’ve tested over 1,000 different ads in that industry and have performed dozens of tests on different site layouts for similar businesses. Keep in mind, the results in one part of the country are not always directly applicable in other areas of the country as you have different competitors, demographics, local problems, and knowledge levels. So it’s not quick or easy. However, imagine what those type of results look like over a year of testing and optimization! A few percent improvement each month can result in doubling your online contacts and cutting your cost/contact in half over the long term. How does online optimization work? Traffic – Where and how you’re getting visitors to your website. Conversion – How you’re converting the highest percent of visitors to contacts. For a service-based business, your website’s job is to generate a contact. It’s your sales department’s job to turn that contact into a customer. We break up your online game plan into Traffic and Conversion because both are necessary. If you have the best website in the world but no one ever visits it, or you have thousands of visitors but a low-converting website, then you’re throwing money out the window. The traffic portion is relatively easy for people to understand…. It’s all those buzz words that have been thrown around for the last decade. Pay-per-click, Google Adwords, SEO, online directories, Facebook Ads, LinkedIn networking, email marketing and any other place you can run an ad to direct people to your website. Conversion is all about getting the highest number of visitors to contact you. The most important part of this is your conversion rate which is defined by the percent of visitors who contact you. Think of it this way… If you develop great marketing and give 10 leads/day to your sales person but he only converts 1 to a customer. Your Traffic is excellent but your Conversion, at a 10% conversion rate, is pretty poor. If that happened in your office would you increase your marketing budget to get 20 leads/day or invest in training a better salesperson? Obviously you are going to work on your salesperson first! Well the same is true on your website. If out of 100 visitors only 4 people contact you (which is about average for most service industry websites) then why not figure out how to get 8 out of 100 to contact you before spending more on SEO or PPC? That is what website conversion rate optimization is all about. Saving you money by learning what converts the highest percent of your website visitors to contacts. According to a study done by Adobe, for every $92 marketers spend on Traffic they spend only $1 on Conversion. Let me put this in more reasonable terms. If your marketing costs for a new lead are $92, to match the findings of this survey, you would then pay your sales person a $1 commission to close the deal! Think of your website as your 24 hour salesman and you can start to see why investing in ongoing testing and optimization is a crucial part of your online strategy. How to know if your agency or designer is focused on testing? The same should be true for your web guys. If your web experts say, “Your website is done, let us know when you want us to update it“, then you have a problem. Unless you’re an expert at web analytics and testing, how will you know what needs to be updated or when? My team, on the other hand, are the experts online and don’t expect that every sentence, graphic, formatting, color change, or call-to-action we’re testing needs to go through you first. We work best when we test the ideas and then let you know what works and what doesn’t. It saves you a ton of time and allows us to put the results of all of our tests to work for you with minimal effort. That’s the difference between a web designer and a team of optimization experts. At one point in my life I was a 21 year old male and it might be fair to say I was a bit, uh, cocky. It was about that time that a little software program taught me the power of being wrong. 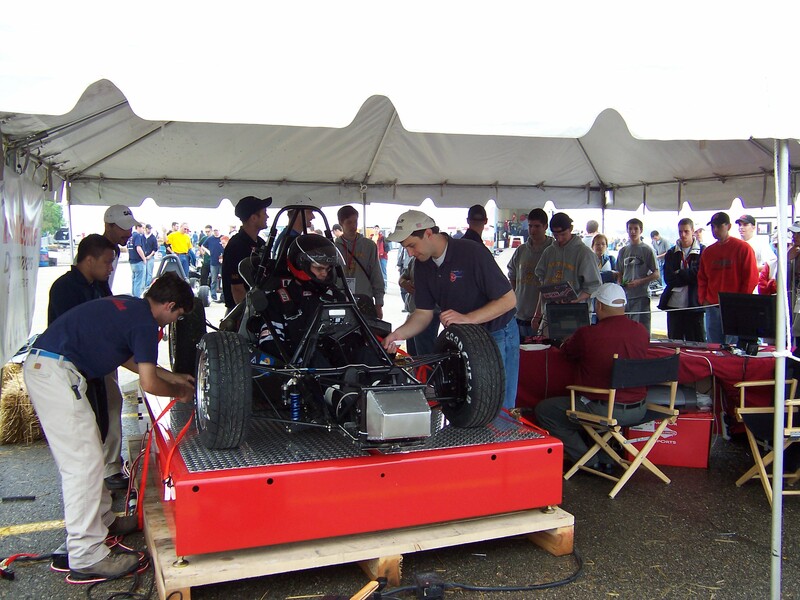 Dyno run of Kettering's 2004 FSAE Car - I'm on the right in the backwards hat holding the laptop. At the start I knew very little about engine design as my upperclassmen Chris, Tim, and Jason could fully attest. I bombarded them constantly with questions. I also raided our school library to find anything I could about engine operation. My university made some very sophisticated software available to me to simulate how various changes to the engine would result in more or less power. Based on the help of my more senior team members, and the books I’d been devouring, I now had enough basic theories about engine design that I could start plugging various design parameters into the software. You see, the way the software worked was a bit tricky… You couldn’t just say, “Make me the most powerful 600cc engine possible,” and let the software spit out the answers. Think of it this way… Right now you’re sitting at your computer. Let’s say it starts working slowly and web pages aren’t loading up real well. Well there’s no software out there that will just “fix” that problem. It might be your web browser, the website’s servers, your internet connection, a virus, spyware, or another program running in the background and you have to try each one to see which is causing the problem. It might even be several problems at once. That’s kind of how you design a car engine. You know you want it to go faster, you just have to figure out which areas to tweak to speed it up. Ok, so I’d put in these various parameters for intake and exhaust design and then the software would test out one configuration and then report back to me how much power and torque that particular configuration would produce. Over time I’d run hundreds and hundreds of different configurations to find the best combination. My idea of what should have produced the best combination of performance was often wrong. Now as our Team Leader, Travis, used to say, “we’re engineers not scientists.” Which meant, we work in the real world not a perfectly controlled lab, so my computer simulations weren’t the final word – they were just the starting point. To get the full picture, we actually had to get an engine, strap it onto a dynamometer (device used to measure engine power kind of like you use a scale to measure your weight), and build a test rig to test our simulated ideas in the real world. The real world taught me once again the beauty of being wrong. The dyno testing showed that some things that worked really well on the computer (like a large intake plenum) had serious limitations (like horrible throttle response) in the real world. Ultimately the result of being wrong, admitting it, and then quickly moving forward was a phenomenal engine package. Our primary race was an autocross-style road course for 30 laps that required even power delivery over a large RPM range. That was EXACTLY what we were looking for! That appreciation for being wrong and getting better because of it, is exactly how my internet marketing business approaches website design. Strong Base theory with the Marketing RoadMap – Just like I had to know what parameters to put into the engine software, marketing requires an equally strong base on how people think and interact with websites, Google Ads, and search engines. Testing at every step in the marketing process – On the car engine we tweaked every item air touched from entering the engine till leaving the muffler. In internet marketing, we test and optimize every step from the words your target customer is typing into Google, to the ad we show them, to the page they land on, to the places they click on the landing page, to the contact form that generates the lead. Every place your prospect visits is monitored, tested, and improved. Real world feedback – The first month that we launch a new website is the absolute worst for performance. Why? Because at that point everything is theory. Some of it can be based on what has worked in the same industry in other parts of the country however no 2 markets are the same so what works in one city very often doesn’t work as well in another one. So we start with our best guess at what will work and then slowly but continuously improve. For your market we learn exactly what is important to website visitors by analyzing search terms, clicks, and online surveys. Mistake Loving – Maybe I’m not quite as arrogant as I may have been at 21, however we do know our process is the absolute best available. The way we know this is that we openly admit when we make mistakes. When we make a mistake, we analyze WHY our theory was wrong and then we improve your website or advertising the next time around. We even tell you what we learned so you can apply the same lessons into your offline marketing. Maybe some advertisers, web designers, or internet marketers you’ve chatted with believe they just know what will work to convert your website visitors to customers. Well don’t be too hard on them. As I mentioned at the beginning, I used to think I knew what would work too. P.S. If your business could use some help improving internet lead-generation and you appreciate our unique approach, contact us at Optimized-Marketing.com.